It seems like we are starting to move past the tradition of buying something for somebody just for the sake of buying something. No more last minute Bed Bath & Beyond runs to by the vanilla cookie Yankee Candle for Aunt Sue who bought you the unexpected bath salts and gardenia body lotion. However, we all have that person who we really want to give them something, but they really don't want anything. Also known as... most adults. 'Cause adults generally buy what they want and want for less, which makes purchasing gifts tricky for anybody past the age 32. Why 32? No idea. If you're 32 and still wanting all the things, then more power to you. The point... we all say we don't want anything and really we don't, buuuut sometimes it's nice to have something special you would NEVER buy for yourself, but would want if you knew about or had buckets of extra Benjamins lying around. So without further adieu, here's a few suggestions should you be on the prowl. 1. Sandbox Ceramic's Pet Bowl. If I were a dog I would be tickled to dine out of this piece of art. This beats Pet Co's stainless situation any day. 2. Teo Essential Oil Diffuser. Ahhh give the gift of serenity or air that smells like an Aveda Salon. Either way, this guy does it with a dose of pretty. 3. Lelabo Fragrances. Clean fragrance that smell delish (or so I'm told) I've actually never had my sniffer on these guys. I've just heard really good things. I'm use to purchasing my scents at Whole Food's for 9.99, so these would feel like quite the delish treat. 4. 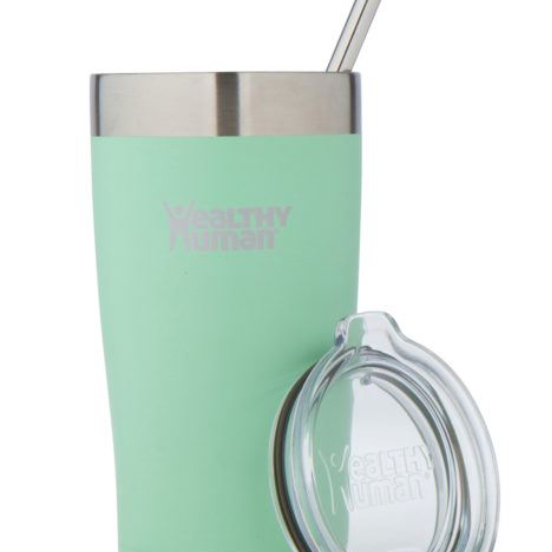 Healthy Human 20 oz Tumbler, I use this fella everyday, sometimes twice a day. When I travel he comes with. Bye, bye coffee mugs, hello coffee that stays warm for hours. Also the colors are so dang pretty. 5 A session with Dr. Lacey Chittle. 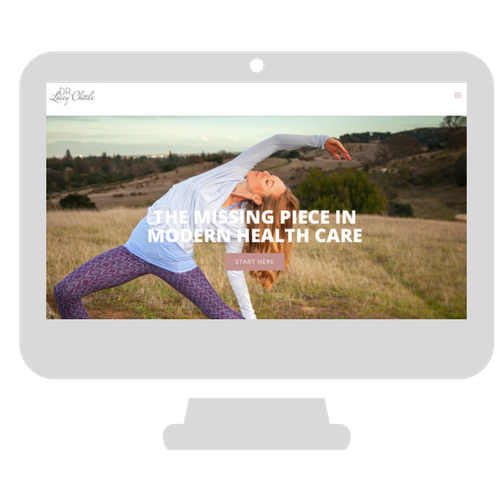 She truly is the missing piece in modern healthcare as she bridges the gap between Western medicine and, well, all of the other health care practitioners. 5. 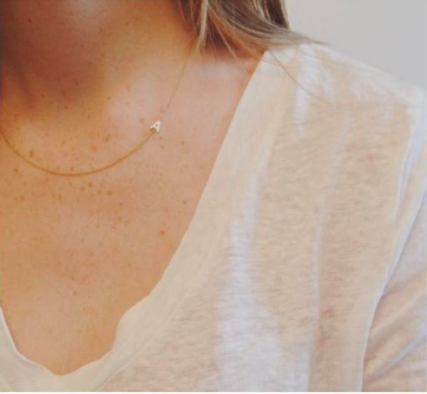 Maya Brenner Letter Necklaces. Apparently I'm not the only one who thinks these are the cat's meow because many of the letters are sold out until after the New Year, but should you be willing to wait or be one of the lucky ones who gets a necklace before Christmas, they make a special little gift. I may or may not have ordered myself an "E" for Elliot as a Merry Christmas to me. 6. The Night Sky. I'm sorry, but who wouldn't love this?! Got someone with a special day in their life? I.E. birth of a kiddo, their birthday, their wedding day, the day they lost their virginity?! IDK. Figure out what the sky looked like the night of this magical event happened and frame it. It's personal and it's art- who doesn't need more art? I definitely bought one for each of my kiddos this year for Christmas as my gift to them. Umm I'm pretty sure I just went lower than socks on the fun-o-meter, but they will appreciate this one day. If not, I sure do. I hope everybody is getting out of the stress of the holidays and into the HAPPY. Also 2018 is coming!!! Can you feel the fun and lightness it's bringing?! I can, I really can.